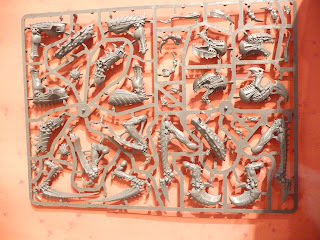 Amongst all the 6th Edition and Warhammer World madness you may recall I ordered a Tervigon [and hoped to get it delivered and painted in time for WW but that was not the case]. 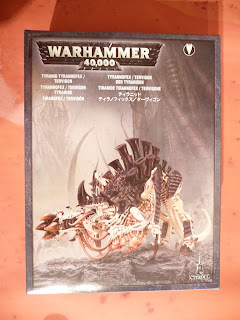 Well it did arrive a while back, here's the unboxing [I don't buy too much new GW stuff so excuse the indulgement*, then again this whole blog is an indulgement* and you're still with me]. 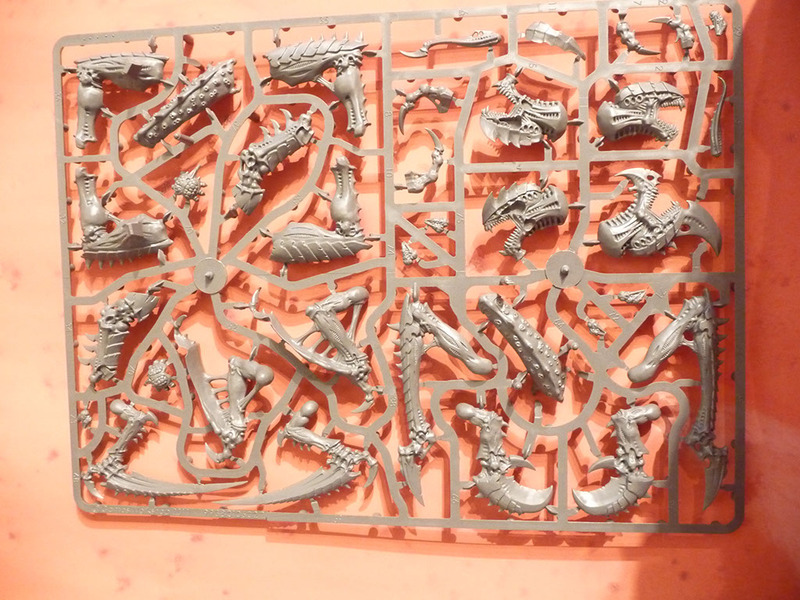 Multiple Tyrannofex weapons, I may sell these or try and use them in Tyranid terrain/Tyranid versions of Imperial Fortifications. Tervigon torso and egg sacks. I'm pretty much painting this piece by piece. I'd read it was the best approach, can't say it's the quickest but it may well achieve the best results. So far the base colours are down with the Sepia and Devlan Mud Wash. I did have a 'wonderful' moment where I knocked the pot of Sepia paint over, spilling it down a folder, onto the floor. I spent a great deal of time trying to put the paint back in the bottle instead of just using it to continue washing the figure. Still the job got done and the end mess wasn't as bad as it could have been. 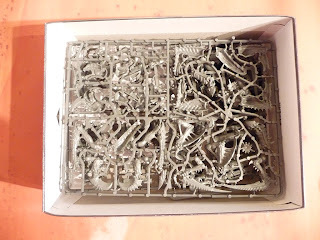 The head, I much prefer the Tyranofex head but it looks like it would get in the way of the birthing sacs for the Tervigon. 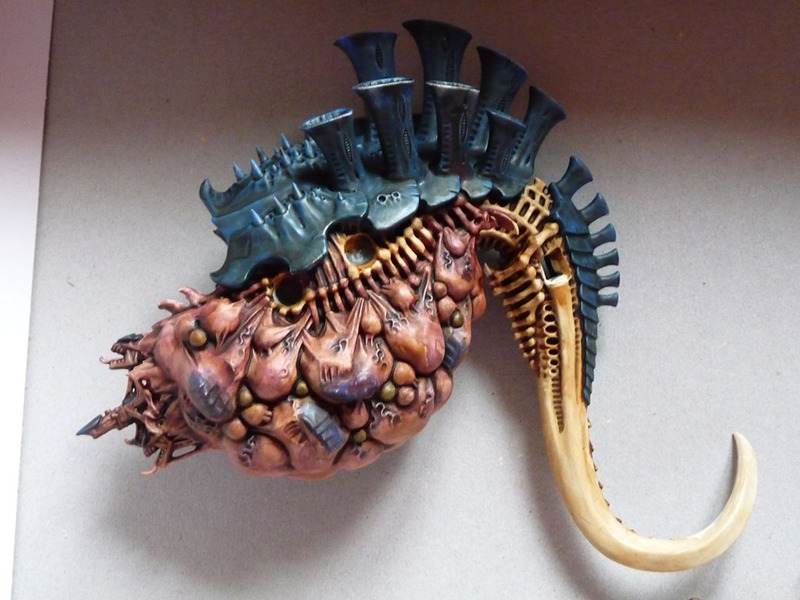 Now I want to try and achieve a semi-transparent look to the birthing sac. 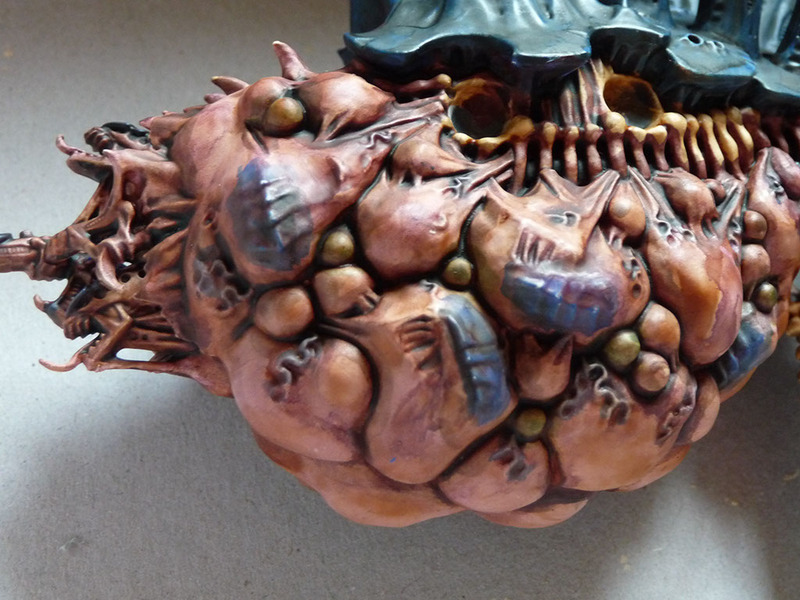 I've added the 'liver' effect to the sacs and some green bulges too. 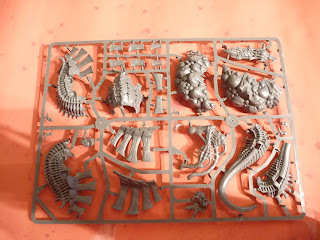 I didn't want to be a slave to the GW idea of smaller green bulges but the fun I've been having with the extra green elements made me keen to go ahead anyway. OK, I have to admit there's some weird things going on visually here. 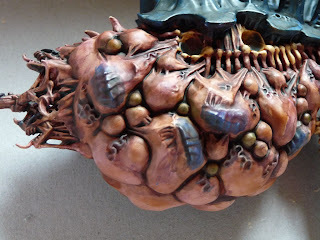 These pics seem to make the egg sac look really cool [in my opinion]. 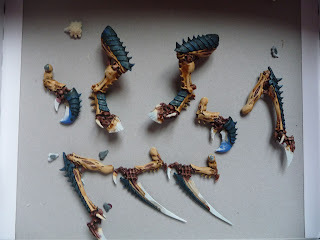 from these pics I would be happy to leave this as is with their almost watercolour-esque finish. However, in reality I was less than impressed and wanted something a little more 'angry' and red looking. Enter thinned Mechrite Red, which is certainly more livid. 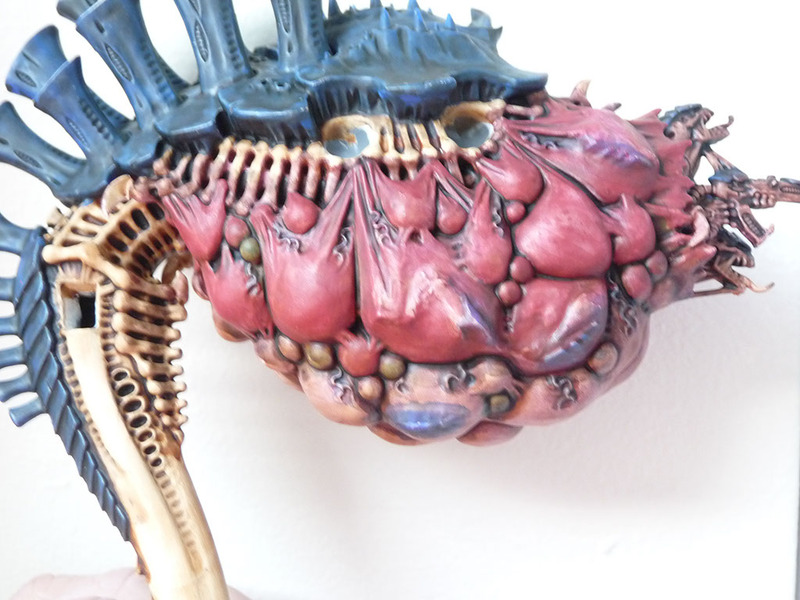 However the pictures again fail to capture the fact it does look better than without the red. 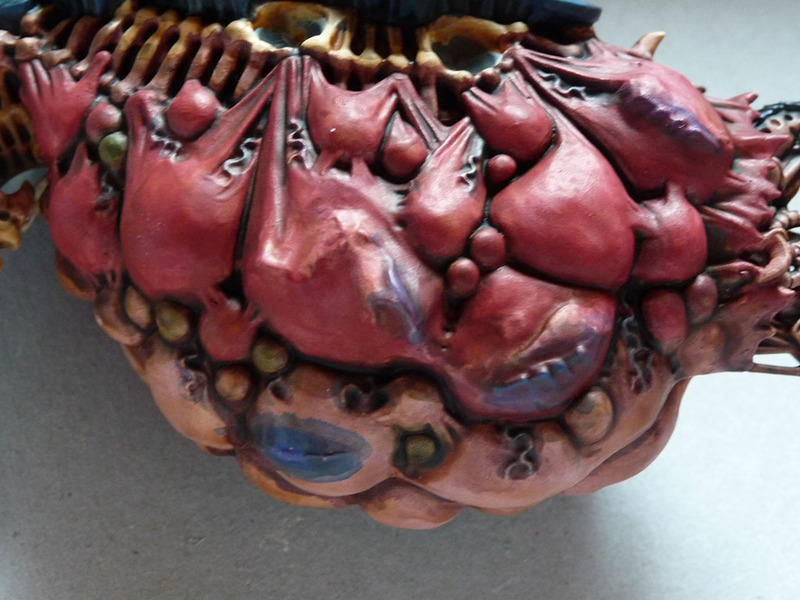 BUT, it also looks like I've lost a lot of the textures created through the two washes and the thinned liver colour. I tried to capture the look in better lighting and this certainly shows that it's a much better colour but still lacking in depth. But the other side which was untouched has a a variety of tones I'm convinced I will lose. 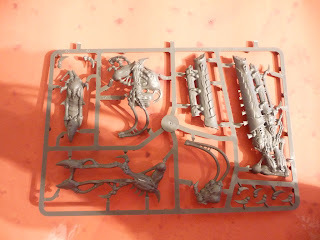 My only recourse is to continue on with the Mechrite Red, afterall there's no undo in in painting, but I will be using much thinner red and hoping to allow the tones created so far to show through. Perhaps if I'd have done the bonewhite highlights too I might have a better idea how this was going to turn out. * I know I should use 'indulgence' instead of indulgement but just indulge me. 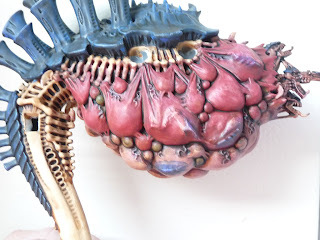 How did you get that effect on the sack? 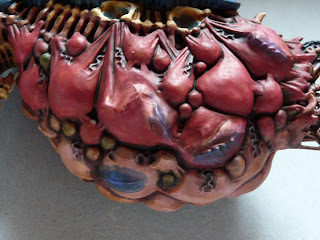 the heads of the termagaunts to pop through and still have it look like it is in the sack? 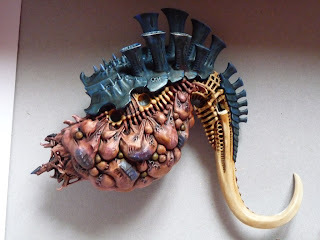 I am painting one for a competition and i want to do that effect but do not know how. Good question Taylor. What I did was try to work with the paint more like a watercolour. Essentially you are adding thinned tints as opposed to opaque paint. 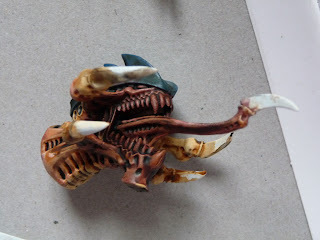 You need to think about what each bit is going to do, washes will change the colours and sink into the creases paint will cover the washes but if you thin it you'll still see what's underneath but if you thin it too much the surface tension will break and it'll just run into the creases. 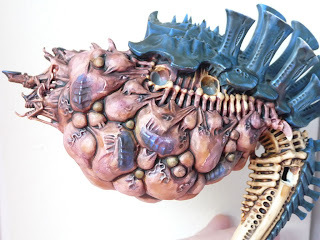 So what you need to do is plan each layer, so add your termagant chitin colours then add some thinned layers on top to represent the skin and it doesn't matter how blotchy it is because the insides will make all sorts of different shades and shapes. 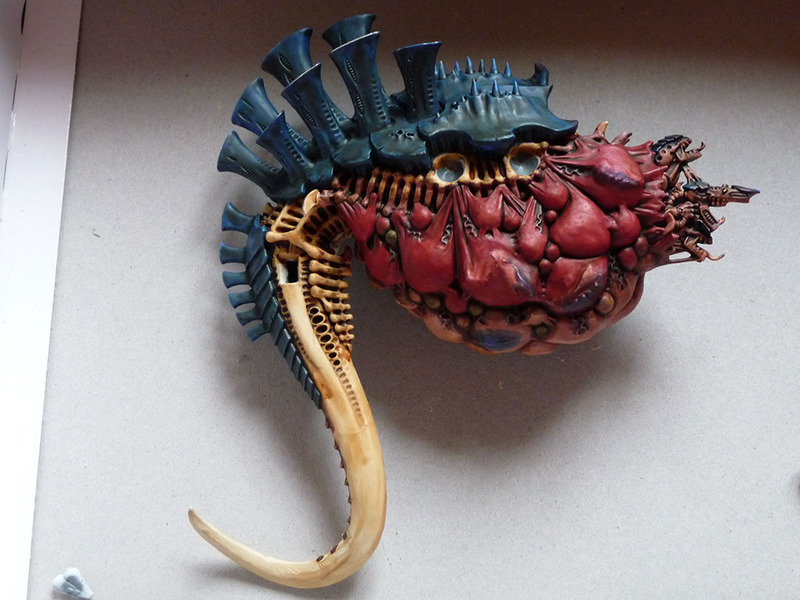 The end result was far less dramatic than some of those early efforts, the Mechrite Red covered a lot up. There are some pics coming soon and I'm attempting my second Tervigon which will be slightly different, good luck.